If you enjoyed the first John Wick movie, you’ll enjoy this one as well. The movie is action-packed and a thrill ride through and through. Be warned, there is plenty of violence and language in this movie as well. This can be a stopping point for some and I wanted to warn you before you watch this movie. Can you get past the violence and the language? If your answer is yes, I invite you to watch John Wick: Chapter 2 and discover the Reel Leadership lessons in the movie. As he watches the man get away, John chooses to pursue via a different route. He envisions where the man would go and then takes off after him, using backroads to pursue. These backroads were actually shortcuts. He was able to catch up with the man on the motorcycle and stop him from fleeing. There are all sorts of leadership shortcuts you can take if you know where they are and how to use them effectively. You can learn about leadership shortcuts through experience or from the experience of previous leaders. Be willing to take shortcuts where and when they make sense. Also, only take the shortcuts that are ethical and honest. Don’t cheat to get ahead! In one scene, John Wick is hit multiple times by Russian thugs in taxis. These hits were hard and debilitating. Yet John got back up and kept going. He wasn’t going to let pain stand in his way of getting the job done. He was going to push through until he achieved victory. 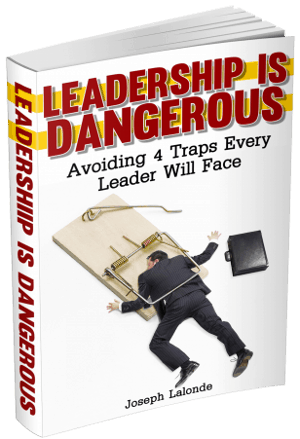 You may be hurting from all of the hits you’ve taken while leading. They hurt. I know. I’ve been hurt too. But I want to encourage you. Every leader gets hurt. Not every leader gets back up. Those that do get back up are often remembered for their tenacity and greatness. Don’t be stopped by the hits thrown at you. Take your leadership hits. And keep going. The ending of the first John Wick movie left it open for a sequel. John Wick: Chapter 2 picks up soon after the first movie ends. Those that thought John’s story ended with Chapter 1 were wrong. There was more to John’s story than the first chapter. There was chapter 2 and, soon, chapter 3. There are days when you may feel like your story is done. You had a bad day and the organization you led is going under. Maybe you were called into the owner’s corner office and told the organization is downsizing. Your job is gone. This is all overwhelming. It’s disheartening. It also feels like your story is over. Don’t be fooled. Your story isn’t over. There’s more to be told. You can pull yourself back up. You can examine what went right and what went wrong. Then, you can put what you learn into practice at a new organization or one you create yourself. Your story will continue. You have to be willing to continue though. When John Wick: Chapter 2 opens, you see him pursuing his stolen car. You believe he desires to have that classic 1960 Ford Mustang back. But something happens. Those hits he took from the taxis were while he was inside of the car. The car was destroyed. However, you soon discover his motivation wasn’t his car. His motivation was what was in the car. There was a birthday card from his wife and a picture of his wife in the glovebox of the Ford Mustang. This was his true motivation. He desired to possess these treasured keepsakes. You may believe your team desires more money, better benefits, or work-life balance. But are these really what your team desires? If you haven’t asked your team what motivates them, you won’t know for sure. You will be surprised at what motivates team members. It’s not always money or more free time. Like they say, ask and you shall receive. Be willing to dig in with your team and discover what drives and motivates them to do their best work. The house John Wick lived in was gorgeous. The house was also blown up in the second John Wick movie. During his time as an assassin, John had given Santino D’Antonio (Riccardo Scamarcio) a marker. Markers, in the Wick universe, was a pledge to repay a debt you owed someone. John Wick owed a big debt to Santino. When John refused to honor the marker, Santino blew up John’s home. John had to pay for not being true to his word. Be careful when you make promises and commitments. Make sure you can keep the promises you’ve sworn. Breaking your word will have consequences. Your reputation will suffer. You will lose trust. You may even lose valued relationships. Remember, your word is valuable. Keep it. In the first John Wick movie, we see John get a new puppy. He rescued a pitty from that was scheduled to be euthanized. He brings the dog to the Continental Hotel. There, he asks Charon (Lance Reddick) if they boarded dogs. Charon said they, unfortunately, did not. This is when Charon spoke up. He offered to watch John Wick’s dog for him. You may be so laser-focused on one possibility that you miss the other opportunities right in front of you. Be wary of this. Great leaders look for and offer alternatives. In sales, this usually happens by the salesperson offering a good, better, and best offering. Three good choices but there’s also alternatives. Alternatives in leadership can lead you to new and exciting adventures. Don’t be so quick to go with your line of thought. Look for the alternatives and consider those as well. What would your Helen think about you? Helen was John Wick’s deceased wife. She’s also the reason he got out of the hit-man game. Her love and John’s desire for her safety pushed him out. Gianna, Santino’s sister, was John’s target. They’d met before and she knew of Helen. When John arrived to fulfill the contract on her, she used Helen to make John uncomfortable and think about what he was doing. Do you have people in your life you don’t want to disappoint? You need to think about them as you’re making the big decisions of leadership. Think about whether or not the actions you’re taking are something you’d be proud to tell your wife about. If she wouldn’t be accepting of the way you’re doing business or the decision you’re going to make, you need to reconsider your actions. John acquired a new suit in Chapter 2. The suit was lined with a bulletproof material. It was lightweight and flexible. You couldn’t tell he was wearing protection. This came in handy when John got into a firefight. He was shot but the suit protected him. He had bruises but the bullet did not pass through. Leaders need to be protected. You won’t wear a bulletproof suit as you lead. No, instead you will surround yourself with men who will hold you up and stand with you through your trials. Great friends are a great way to be protected. They can call you on your shenanigans. They can reign you in when you’re out of control. And they can lift you up when you feel down. Be protected. Have people who will stand with you. Once John carried out the hit on Gianna, her bodyguard Cassian (the rapper known as Common) confronted John. The two began to fight. Eventually, they fell down three flights of stairs. Did this end their fight? No, they kept fighting. On and on, they fought. They wouldn’t give up. We talked about the hits you’ll take as a leader. They will hurt. Still, you must be willing to keep leading. Lead through the pain. Keep leading those who need your presence and wisdom. It’ll be worth it in the end. Santino had every right to call John on the marker. After all, John had agreed to it. Does this make what Santino did right? Not at all. His right to call John and request payment didn’t make what he did right. He could have let John retire peacefully. You will have the right to do a lot of things as a leader. You will have a lot of power. These rights and power you have, you have to be careful using them. Just because you have the right to do or request something doesn’t make it right. That’s the conundrum of a leader. John was being pursued through the subway. He was fleeing when he came across a man who appeared to be homeless. He wasn’t. The homeless man was willing to help John. There were plenty of others around John that were willing to help him too. You may feel all alone in your leadership. There’s no one who can help me or know what I’m going through, you may think. Don’t give into this line of negative thinking. There are people who want to see you succeed. But there’s something these people need from you. You need to request their help. When you do, you’ll find so many people willing to help you. Bower King talked to John about his retirement. He thought John had retired. John told him he was working on it. Things don’t always work out the way you desire them to. Complications arise. People quit. Or you may not know what to do. That’s okay. Be willing to work on the issues. Keep working and you’ll eventually get through it. Santino believed John Wick was addicted to vengeance. This is why he continued to fall back into the hit-man world. Being addicted to anything, even seemingly good things, can be dangerous. Addictions have to be fueled. They often become fueled by the wrong things. Check your motivations behind leading. Make sure they’re pure and just. Continue to monitor yourself to make sure you’re not addicted to leading. Winston (Ian McShane) had rules for the Continental Hotel. One of those being you cannot kill someone on the grounds. John Wick broke this rule when he killed Santino D’Antonio on the hotel grounds. However, Winston had a choice. He could have John face the same fate as Ms. Perkins (Adrianne Palicki) did in the first chapter. Or, he could let John live and be hunted. He chose the later. This allowed John to go free. This will also, more than likely, be the premise for John Wick: Chapter 3. You have laid out rules for your organization. You desire these rules to be followed. But what do you do if a great employee breaks one of your rules? You will have choices. You can choose to fire the employee on the spot. Or you can bend the rules and find a workable solution so he can stay on. As a leader, you get to decide what rules are fast and hard. You also get to decide what rules can be bent and when. Question: Have you seen John Wick: Chapter 2? If so, what leadership lessons did you find in the movie? 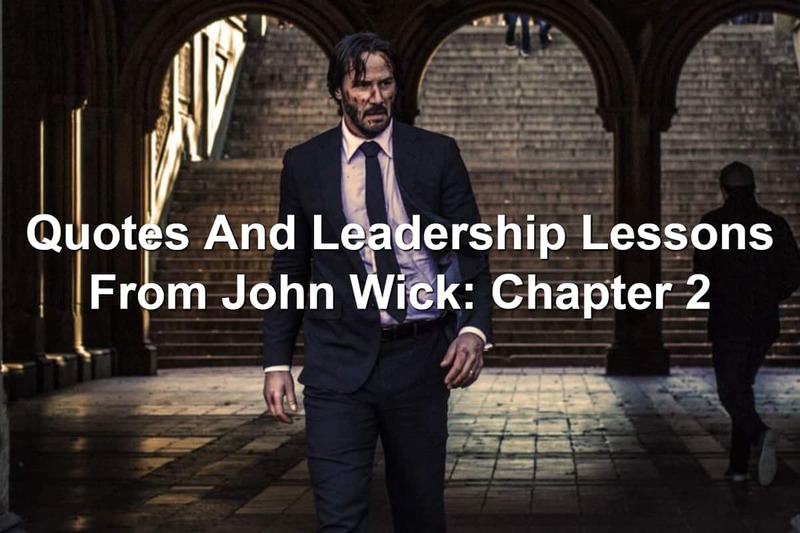 If you haven’t seen the movie, what leadership lessons from John Wick: Chapter 2 that I shared resonated with you? Share them in the comment section below.